Balzer + Bray, 9780062281487, 384pp. 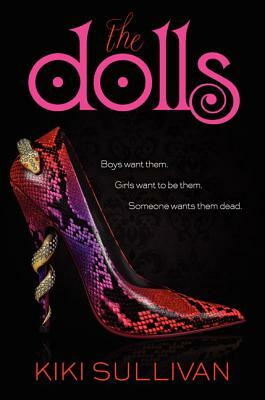 Kiki Sullivan is the author of The Dolls. Like her main character, Eveny Cheval, Kiki used to live in New York and now calls the American South home. Unlike Eveny, she finds it impossible to keep her rose garden alive and has been singlehandedly responsible for the unfortunate demise of countless herbs. She may or may not have hung out with queens of the dark arts, strolled through creepy New Orleans cemeteries at night, and written this series with a redheaded Louisiana voodoo doll beside her computer.